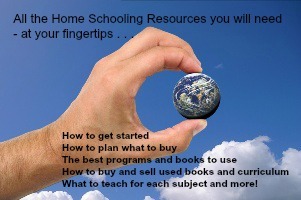 When looking for home schooling resources, it’s easy to get overwhelmed. I have collected a simple list here that you can use to wade through the maze of curriculum and book options. After many years of learning at home, these are the best products I have found.These links will take you all the way from getting started to knowing what to use if you get stuck throughout the year. Homeschooling is not rocket science, but it does take some prayer and good information to be successful and have students that are learning and enjoying what they are learning. Information about how to get a learning style assessment. Listen to an interview with Mariaemma Pelullo-Willis the co-founder of the Learning Success Institute. There is lots of great information about learning styles and how to help your child to learn in the best possible environment. AOP Monarch Alpha Omega's new online homeschool curriculum. Features and Options of Sonlight books. The best spelling program I have ever seen. It can be used on it's own or in conjunction with another spelling program. This is a great spelling tool used on the computer. You'll definitely want to give Spellquizzer a look and add it to your list of resources! For younger students who need spelling instruction, All About Spelling is my favorite program. Supercharged Science - This is a great program that shows you science experiments right online done by a real scientist your children can relate to. Aurora walks you through all kinds of great experiments that at actually work! Then she gives you all kinds of ideas to help you along the way. This program can be used for all ages. Read this interview I did with the folks over at Supercharged Science and find out the best way to teach Science. Tenmarks - Looking for an interactive web based Math program for home schooling? Tenmarks is a high quality, low cost program you can use for math for grades 3-12. Answers in Genesis - Great creation resources from the creators of the Creation Museum in Cincinnati, Ohio. Old Schoolhouse Magazine - The leading home schooling magazine on the market. Knowledge Box Central - Your Source For Adventures! - They have lots of great lapbook resources too! Here are some links and information about how to buy used books and curriculum, where to find used books, where to find used Abeka books and curriculum, and how to best sell books when you are done using them. You can also use a service like Sell Back Books. 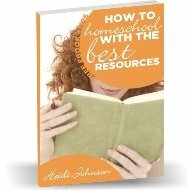 Free eBooks written by me - "How to Homeschool Using the Best Resources" and "How to Get Started with Home Schooling" at free eBooks. Find out all about the Internet Links that are available for all ages. Where to Purchase Books and Programs? My two favorite stores online are Christian Book Distributors and Amazon. There are lots of subjects that parents think they have to cover. If someone is just starting out, I suggest they focus on Reading, Writing, and Math first. Once they have things figured out for those subjects, then go ahead and look into History, Science, PE, Art and Music. For someone just starting out, it's really overwhelming to try to figure out all the subjects for several students all at one time. If your students can read, write and do math, they can add in the other subjects without too much extra effort. For early elementary students I recommend using picture books for several subjects like Social Studies and Science. Students learn so much from picture books. It's much more enjoyable for both parent and student to use picture books. They can cuddle up on the couch and read some great stories that will spur lots of great learning. You can get lots of recommendations for each subject on this website. Many people think they have to use a packaged curriculum in order to be successful with learning. Many times those packages are designed more for the parent's comfort than to help the student learn in an interesting manner. Just because a student fills out a workbook or reads a textbook and answers questions, doesn't mean they understood or retained the material. It's a proven fact that the more senses a person can use at one time, the more they will retain what they have learned. If you're thinking about getting a packaged program, make sure you read plenty of reviews so that you know exactly what you are getting. Learning in South Africa - If you're living in South Africa and want to teach your children at home, then you need to check out this website about education in South Africa. She has all kinds of information and links that can be very helpful. The Children's Behavior Books at Best Children's Books use stories to address common behavior problems. In each book, a character with a particular behavior issue confronts the problem successfully and is happier for having done so! Your child identifies with the character and is inspired to self-improvement. The books are downloadable, and the illustrations are coloring book pictures. Via reading AND coloring, your child is exposed to the book's message repeatedly, increasing the chances that he/she will self-correct.